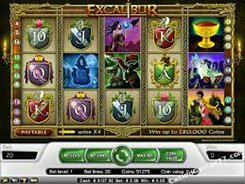 Developed by NetEnt, Excalibur is a 5-reel 20-payline video slot with its theme centered on the legendary King Arthur’s sword. 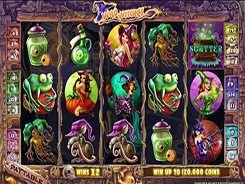 Customizing a coin value from $0.01 to $1 and the number of coins from 1 to 4, you can place a bet anywhere from a penny to as high as $80 per spin. 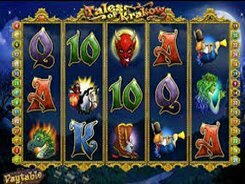 On the reels you will see standard poker cards from 10 to Ace designed to fit the theme as well as King Arthur, Merlin, Guinevere and other Arthurian characters. 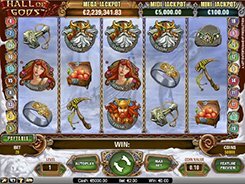 The slot features two wild symbols, both acting as a substitute for other symbols. 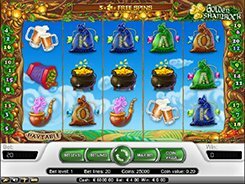 The only difference between them is in the multiplier applied to a normal combination value when either of the wild is used in a combo – a normal wild doubles the payout when substituting, whilst a golden wild quadruples the win. 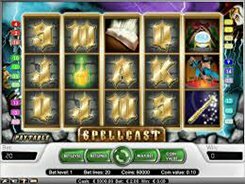 The slot has a scatter represented by the Holy Grail. 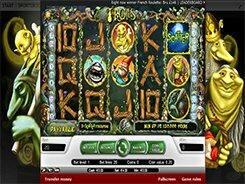 Three or more scatters unlock 10, 20 or 30 free spins at a x3 multiplier. Besides, five scatters pay out x500 times a total bet (or $40,000 on the max bet).